Are you spinning your wheels trying to start a business? Do you feel overwhelmed because of all the things you need to do? Are you frustrated because you don’t know which steps to take? If you answered yes, then you need a startup business plan to help you get unstuck. Having a business plan is essential if you want to focus on the things that are important. You can spend a lot of time chasing unimportant things if you don’t have a plan. 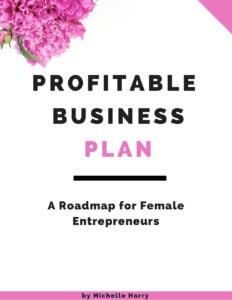 I know so many women who want to start a business, but a lot of them don’t know where to start. That’s why I decided to write this post so I can break the steps down, and help you move forward with your plan. This post has affiliate links. If you buy anything from Amazon using my links, I may receive a small commission. Thank you! I created a two-page Start Up Cheat Sheet which includes some of the steps I will be covering today and many more. You can get the cheat sheet by signing up below. I have divided the steps into different sections so you can set goals and plan out your action steps for each section. Your business may not need all the steps so you can disregard any step that doesn’t apply to your business. 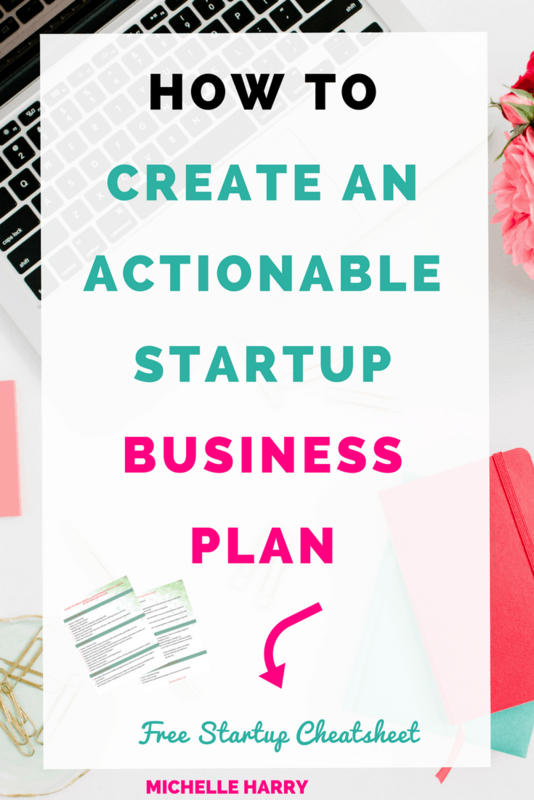 Before we get right into it, some of you may be wondering why you need to create a business startup plan. Let me tell you some of the benefits of having a plan when you’re trying to start or grow a business. Stop you from wasting money on tools and resources you don’t need. Save you a lot of time because you can focus on the important things. Your business goals and objectives will become clear. As you can see, a business plan is a useful tool for anyone who is serious about starting a business. This section covers some of the steps you need to take from choosing a business idea to validating the idea. A good business idea is the foundation of a successful business. I have written a lot about how to choose a business idea, so I am not going to repeat myself here. Choose a business idea that people want what you are offering, and are willing to pay for. Choose a business idea that allows you to use your skills,experience and expertise. Choose a business idea that you are passionate about. Before starting a business, it’s important to define your target audience. Who needs your products or services? What are their pain points? When you define your target audience, you can tailor your products and services to the right people. It’s impossible to serve everyone, so you need to know whom you’re trying to attract and serve. When you target a specific audience, it means you’re targeting the people who need what you are offering, and are more likely to buy from you. Who are your competitors? What do they do well? What do they do poorly? How will you position your business so you can stand out from the competition? Which market segment do they serve? A minimum viable product is the smallest thing you can create which solves a problem. You need this to validate your idea before you spend time and money creating something nobody wants or is willing to pay for. For example, you can offer a free 15 minute coaching call to a client, or samples of your products so you can get some feedback. This is a big one! Many business owners skip this step and then, they struggle to understand why they don’t have any customers. Don’t start a business without validating your idea. Find your target audience and test out your idea before you invest a lot of time and money. Trust me. You’ll feel more confident and save yourself a lot of stress if you do that. It’s better to know early on that there’s no demand for your product or service, than after you’ve started your business. This section covers some of the legal and regulatory requirements you need to start and run a business. Depending on the type of business you want to start, some of the steps may not apply to you. Your business structure affects how your run your business, the records you will need to keep, filing requirement, and how you pay taxes. Most small business owners are sole proprietors. Make sure you understand the pros and cons of the different business structures before you make a decision. While it’s possible to change your business structure, it can become an expensive and complicated process. If you’re unsure which business structure is right for you, then you may want to get some legal/expert advice. After choosing and validating your idea, the next step is to choose a business name. You can use a Doing Business As (DBA) if you’re using an assumed name. If you also plan to have a website, you should register your domain name. You need to do a search of your business name to make sure it’s available for you to use. Check with your state, city or county to find out which documents you need to register your business. Depending on your type of business, you may need to obtain some licenses or permits before you can run your business. Check with the relevant Federal and State agencies if you think you may need a license or permit for your business. If you plan to start an online business or run your business from home, you can use a P.O Box address to protect your privacy. Bear in mind that your business location will decide how much tax you pay (your tax rate), and the regulations your business will be subject to. Think about this carefully before choosing your business address. It’s good business practice to have a separate bank account for your business. Even if you’re a sole proprietor, it’s better to keep your business finances separate from your personal finances. You can open a checking and savings account for your business. Contact your local bank to find out which documents you need to open an account. Check out this article from the US Small Business Administration for some more information. This section is about your business finances. From how much capital you need to start your business, identifying your sources of funding, and the steps you can take to prepare financially before starting your business. 1. What’s Your Startup Cost? How much do you need to start your business? To figure that out, make a list of all the essential tools, resources and products you need to start your business. Focus on the basics for now. You can add the bells and whistles as soon as your business starts making money. 2. How Will You Fund Your Business? One of the most common reasons many women give for not starting their business, is lack of finance. Before you choose a business idea, make sure you can execute the idea. Which means you have both the skills and resources you need to launch your business. Many businesses fail because they run out of money so make sure you know your sources of funding and how you’ll keep your business running before it starts generating revenue. If you’re wondering why you need to create a budget for your business, it’s because a budget will help you keep track of your income and expenses. One of the easiest ways to increase business profits is to reduce your expenses. A budget shows you where and what you’re spending money on so you can adjust your spending or figure out ways to increase your income. Every business needs an emergency fund to protect them from unforeseen circumstances like a financial emergency or when business is slow. Having a stash of cash that’s easily accessible will stop you from panicking if face an emergency. Depending on your type of business, you should have three to six months worth of business and living expenses in your emergency fund. This isn’t always possible so just save as much as you can. This section is about branding, creating a website for your business, social media marketing and email marketing. Do you need a website or blog for your business? If you need a website or blog, create a self-hosted website with WordPress. You will also need a web hosting service like SiteGround, Bluehost etc. I use Dreamhost but I am considering switching over to SiteGround. Research a couple of them to see which one is best for you. Can you create a simple website or do you need to hire a web designer? If you want to go the DIY route, all you need is a premium theme that you can customize. Check out StudioPress or Elegant Themes for some ideas. Social media has become an essential part of most marketing plans. You can use social media to reach out and connect with your target audience, and to build a community of loyal customers. You don’t have to be active on all of them, but it’s a good idea to set up an account on the major platforms like Pinterest,Twitter,Facebook and Instagram. One of the first things you should do as a business owner is to start building your email list. An engaged email list is one of the most important assets your business can have. You don’t need to have a website to start collecting email addresses. You can create a landing page, sign up with an email service provider like MailChimp, Mailerlite or Convertkit, and you’re good to go. You should also offer an incentive to get people to subscribe to your email list. Remember the minimum viable product you created in section one? You can use that as a lead magnet. Every business needs systems, processes and strategies to carry out its day-to-day operations and to function effectively. Let’s look at some of the most important strategies/processes/systems you need for your business. Every business needs a marketing strategy. You need a system to acquire and build relationships with your potential customers. This is an area many female entrepreneurs struggle with. How do you get in front of the people who need your products or services? Your marketing strategy will depend on your audience and your goals. Some ideas include: content marketing, social media marketing, email marketing, paid advertisements (Facebook, Instagram or Pinterest). Marketing is all about telling people why they should buy from you. So figure out the best way to do that for your business. Your sales strategy is basically what you need to do to turn a potential customer into a paying customer. Before you can create a sales strategy or plan, you need to set some goals. Your goals can include: the number of sales you want to make, or the number of new customers you want to attract to your business. It’s important to set realistic and measurable goals when creating your sales strategy. An example of a realistic and measurable goal would be to attract 2-5 new clients per month (if you’re a service business), or sell 10-20 eBooks or course. It all depends on your products, audience and past sales. Once you’ve set your goals and identified your target audience, the next step is to map out a plan to reach and connect with your audience. Map out your customer journey. Which means all the steps/experiences your customer will go through from their first contact with you,until they buy from you. This is sometimes called your sales funnel. Your business needs customer service, shipping, and refund policies. How will your customers contact you? You may need a business telephone and email address for your business. Only you can decide how you want your customers to contact you. Also let them know how and when they can expect a reply from you ( say within 24, 48, or 72 hours). Unless you want them to start leaving messages on your Facebook or Instagram page. Take the time to create a shipping and refund policy for your business. Make sure your customers know where to find them. Be clear, avoid ambiguity. To recap. You need a startup business plan if you’re serious about starting a business. Your business plan will help you stay focused and show you the steps you need to take. This will save you time and money. Spend some time writing/mapping out your plan and you’ll be on your way to launching your business before you know it. 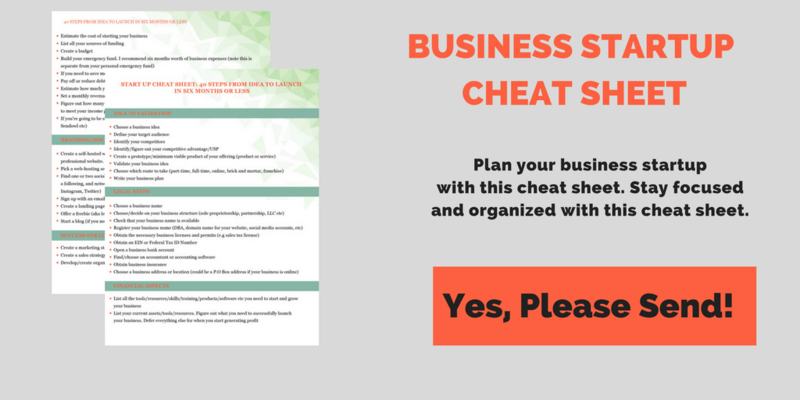 Don’t forget you can get the two-page cheat sheet with more steps and information to help you create your startup business plan. You can grab it here. 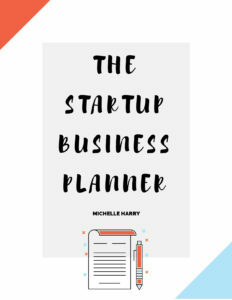 Also check out The Startup Business Planner if you are ready to launch your business.